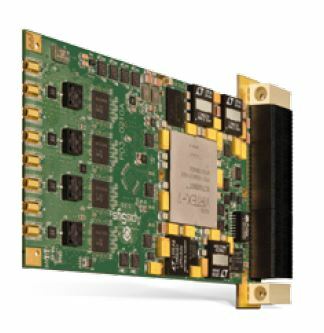 The AV121 features an internal ultra-low jitter reference and one clock synthesizer and can be used with either external clock or an external reference for higher flexibility. The AV121 supports an external trigger signal coupled with a 15ps resolution Time to Digital Converter (TDC). 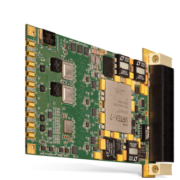 The AV121 includes one Xilinx® Virtex® 7 FPGA VX415T or VX690T for an impressive processing capability of more than 2 TMACs (Multiply Accumulate per second), one high speed 256M64 DDR3 SDRAM memory for data processing and a 1 Gb synchronous FLASH memory for multiple firmware storage.